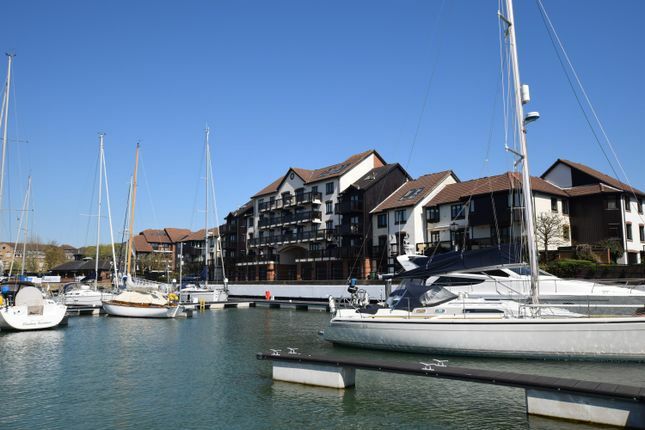 Two bedroom apartment with a 13m mooring and a garage! In the popular location of Moorhead Court, Ocean Village. The property offers stunning views of the Marina. The opportunity to purchase an apartment with these views as well as a mooring and garage do not come along very often. The apartment briefly comprises two double bedrooms, lounge/diner, fitted kitchen, bathroom and balcony. For more information, call us on . Multiple power points, radiator, phone and TV points as well as double doors leading to the balcony with stunning marina views. Also a window to the side aspect. Fitted oven, gas hob, extractor fan, dishwasher, washing machine, tiled flooring and a window to the front aspect.